Apolosi Baroi is no new face in the local music industry in Fiji. He is the songwriter for the famous song trending through airwaves amongst not only local but international radio and music sets named ‘Nasi Dredre Ga’. The 60-year-old retired music teacher has yet again written a new song expected to be heard in and around Suva with its lyrics highlighting the role teacher’s play, the relationship, experiences and lessons given and taken between teachers and students in the classroom setting. 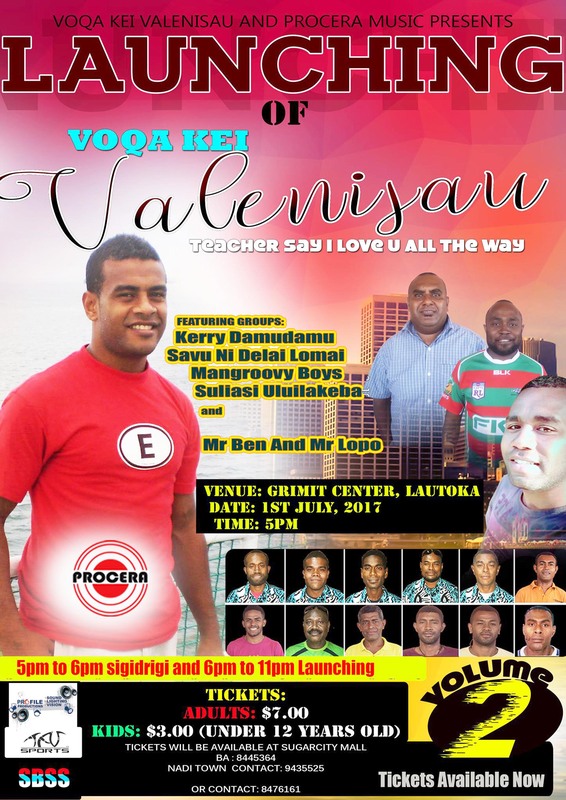 He said the memory of his very first teacher, his mother Adi Kelera Valu had inspired him to write ‘Noqu Teacher’ as she was his role model throughout his own passion for teaching within his 30-years’s experience as a teacher. “In this song, I’m simply expressing and telling a story on how a kid learns with his teacher, the relationship that they have and how he relates to his teacher” Mr Baroi said. Baroi’s love for children speaks volumes in the inspirational lyric also behind the song. “I love children, in this latest song that I have written its relating to an experience of a kid and his teacher. The verses go like this, “reki lako niu gole ki vuli, is the first verse. “O noqu teacher e wawa, nona veituberi uasivi, e dau loloma, noqu teacher, e wananavu tu e vei gauna kece ga” said Baroi. He continued to narrate his lyrics with the second verse explaining more about how a student anticipates going to school. When asked by Fiji Sun about his motivation, Baroi attributed his gift and love of music to God. He went on to recap that his experience as a teacher and realization of disciplining students ‘with a stick’ was unnecessary, thus it enabled him to become a better teacher and built a stronger bond with his students by other means of discipline. With tears filled in his eyes Baroi with reminisce towards his life changing experiences from teaching. He said the final verse of his four verse song related to the unintentional shortcomings of teachers during their work in the classroom together with obligations too at home. It highlighted the thoughts of the student trying to relate and understand the teacher during stressful times. Baroi has been married with his wife Vivita and has three children who enthusiastically support him. Even after falling ill from stroke early last year, nothing stopped Baroi from expressing his gift through music and composing his new piece. Baroi has also composed gospel songs for their church group Assembles of God church in Labasa. He has a diploma in Physical Education, Art & Craft and Music (PEMAC), majoring in music. Baroi hails from Wailevu East in Cakaudrove.